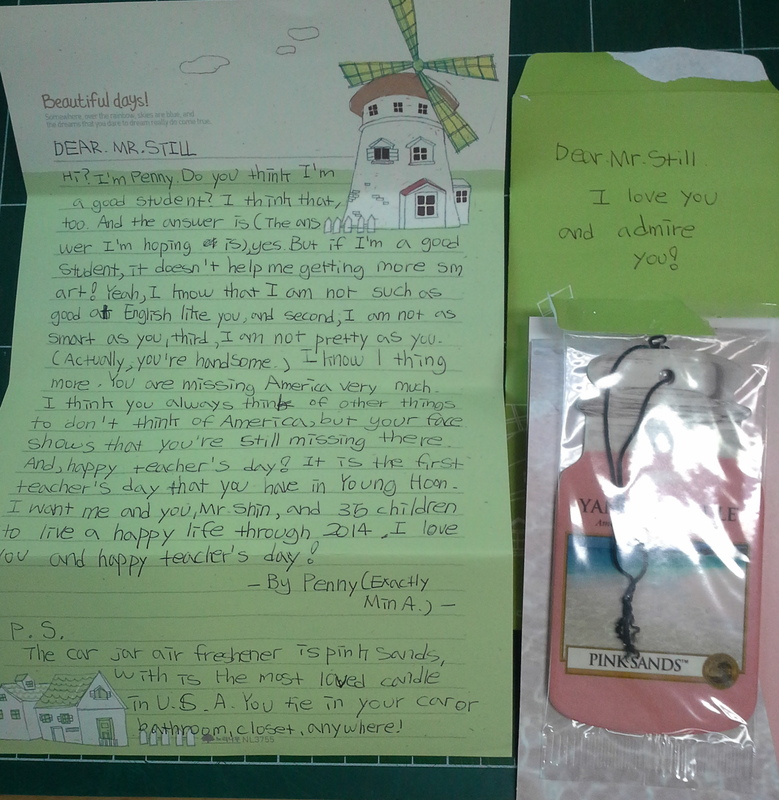 In Korea May 15th is national Teacher’s Day. Typically students bring in gifts for all their teachers and write notes. We were originally supposed to have an assembly recognizing all of us but; due to “recent sad events” that was canceled. Some of my coworkers were even told “I wanted to bring you flowers but couldn’t because students died.” The country is still very much in mourning regarding the Sewol Tragedy but luckily Teacher’s Day did brighten the day for many. 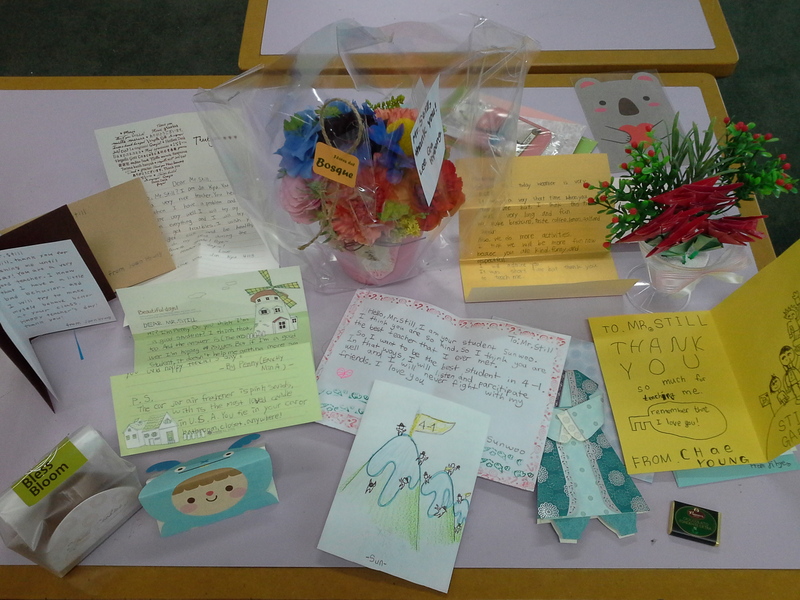 I had about a dozen students write adorable notes, got a bouquet, some fake flowers and a few snacks. Most of my coworkers got a similar assortment of thanks and it truly was so nice to read all their kind words! I love my job and love teaching but tokens of appreciation are always welcome. It’s a great day to appreciate the work teachers do all over the world!